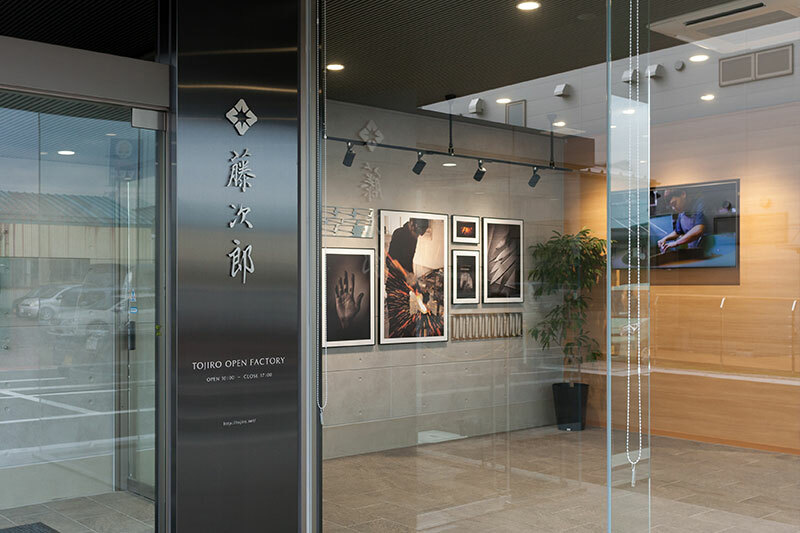 Photos, videos, archives, you will learn much about TOJIRO in 10minutes in this entrance hall. Also enjoy the view of forging cabin from observation window. Artistic photos and stamped out metal sheets are displayed on the wall. Free catalogs and brochures are available here. Manufacturing processes are shown on the screen. ＊A free wheelchair is available. Here you are able to look back the history of TOJIRO with some sample products since its foundation in 1953. Forging cabin can be observed through this window.